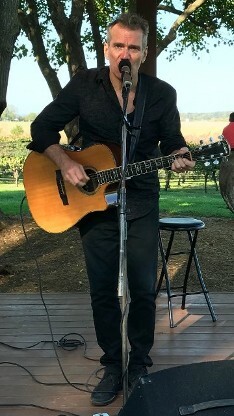 Dave Goodrich performs at various Virginia vineyards and wineries during the year. His 2018 vineyard concert schedule includes upcoming performances at Hammerstone Cellars, James River Cellars Winery, Barrel Oak Winery, Gray Ghost Vineyards, Old House Vineyards, CrossKeys Vineyards, and Lazy Days Winery. Mark your calendar now! Be sure to check back for new additions to the schedule. 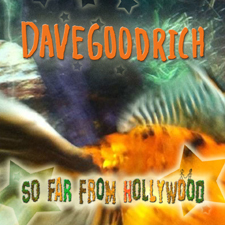 Dave Goodrich's latest single So Far from Hollywood is now available on major online music retailers, including iTunes, Google Play, Amazon.com, and CD Universe. You can stream the song at ReverbNation and Spotify. Fredericksburg, VA, Nov. 30, 2015—BQE Records, LC recording artist Dave Goodrich today announced the release of his new Christmas love song entitled Wrap Me in Your Christmas Love on major online music retailers starting on December 1, 2015. The song is a self-produced pop-rock production with 1960s Motown influences. 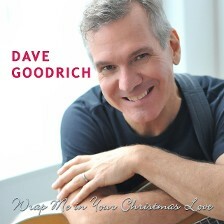 This single release marks Dave Goodrich’s first original Christmas song. Dave’s guitar playing on the recording is reminiscent of that of the 1980s group The Pretenders. Dave also provides rich lead vocals on top of lush backing vocal harmonies, Motown-like drums, fat bass and keyboard candy. Married with addicting melodies and musical hooks, the song’s catchy lyrics invite love in the holiday season. Dave’s first solo recording as a singer/songwriter—the ten-song album 15 Minutes—has received over 100 placements on television shows. Additional solo recordings include the full album Stripped Away, a science-meets-psychology-inspired single called What’s the Dark Matter?, and this year’s soulful Valentine’s Day single release You Are There. In celebration of the 2014 Christmas season, Dave released a soothing electronic version of Silent Night. Dave was also a member/producer/songwriter of the 1980s DC-based power pop trio Mind’s i that released the EP A House Defiled (BBTB Records, LC), which spent a summer on the national college radio charts. 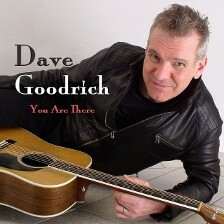 Dave Goodrich's new single You Are There was released on major online music stores (including iTunes and Amazon.com) on February 10, 2015. The song, which marries a modern soul feel to a retro-embellished soundscape, is about the secure feeling of true love. 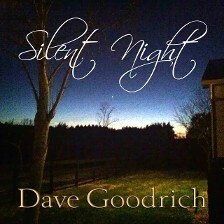 Dave Goodrich's holiday single Silent Night is now available on iTunes, Amazon.com, cd Universe, emusic, and other fine digital retailers. 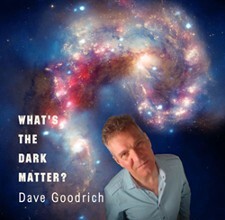 Dave Goodrich's single What's the Dark Matter? is available exclusively at ReverbNation. Dave Goodrich was a guest on The No Rules Show at the Signature Theatre in Arlington, VA, on Friday, July 12, 2013. Dave performed two songs and was interviewed about his songwriting, acting, and life by the host, Joshua Morgan. 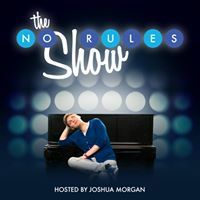 This very funny live show—Half Revue. Half Talk Show. All No Rules.—was directed by Brian Sutow. To find out more about Dave's acting experiences, check out his TV & Film page.